"I am yours and you are mine...Whatever comes now, we are one." Warrior's Watchtower is difficult for me to put into words. There is a complexity here that makes explaining the story difficult with out giving away key components and spoilers. What you must remember is that every little piece of information we are given through out the story builds into what is becoming an epic tale. 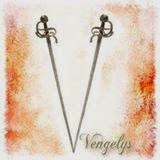 We are brought right back into the story of the seven Vengely brothers, only through the eyes of multiple characters, particularly Jondre and Euphrosynae (synae). Aedan Byrnes immerses the reader right back into the story only now we are able to feel what Jondre (The Vengly's sister) and Synae (Rigor's Match-mate) feel as they watched the brothers banishment from their home with no conceivable belief that they will ever return. Although much of this book is told through Jondre's POV this is not simply her story. 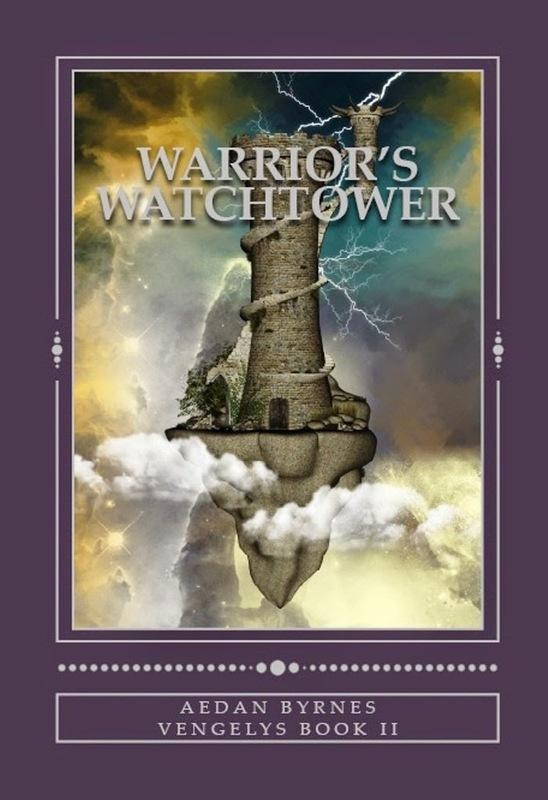 Warrior's Watchtower is the story of an entire community. It is a story of family, love, heartbreak, and most importantly hope. "You are no longer my blackest night. You are my rising light and deepest hope." While this is not a story solely about the brothers I loved the glimpses we get of them (because in the end for me this is who the entire tale is really about) through out the book as they come to terms with the lessons they must learn. I loved meeting them all again and in a different light. It made me question my feelings for a few of them, particularly Asmodai. I left Through the Oracle's Mist despising him, but by the end of Warrior's Watchtower I am leaning toward liking him and most assuredly wanting to see how his tale plays out. I have a great hope that he will be more than I ever expected. In fact I think that is one definite thing I can say about this book and series, everything is more than I expected. Aedan Byrnes is masterful at weaving words and worlds. His characters ( and there are many *smiles*) never falter in who they are, we don't have to question their motives and beliefs (except for perhaps the gods) and in the end this story, like Through the Oracle's Mist, is a book about deep, passionate, tender, consuming love. All that is done is done for love of family and for love of each match-mate. "I am yours and you are mine. Wherever you go, I go. You are my home, my refuge, my strength, and my future. Whatever comes now we are one." Don't be afraid of the complexity to this tale, you will soon find it's flow and become so immersed in it that you won't be able to put it down until you are done. There is a lot that goes on and at times it may feel overwhelming but remember every piece of information builds onto itself until it all flows out in front you and you are able to look back and see where every piece fell into place. This is a great read for fantasy and paranormal book lovers, just make sure when you start it you have time to sit and let it all soak in because you won't want to get up until you are done. I am very much looking forward to Kingdom's Fall, book 3 in the Vengelys series, there is so much more to come! There is no simple description for Aedan Byrnes. Obsessive, dreamer, reclusive, compulsive, outdoorsman and wordsmith would be among the list if one were started. The displaced Gael lives in the upper Midwest with family between jaunts wherever the road takes him. A frequent traveler, he is as likely to be found rock climbing or spelunking as sitting fireside dreaming or aimlessly floating away. influences. A self-proclaimed ‘reader’s writer’, he looks for the emotional and the sensory in word combinations, not just the visceral comprehension of phrases in the stories he crafts and his love of all things literary shines through. The 'Eclectic Bard' enjoys the special magick of storytelling, those who embrace the challenge of writing, and the dreamers who get whisked away by the words making the journey worth taking. Perfectly said! I couldn't agree more. I love this series. I need Kingdom's Fall now! Awesome review and I agree with every single word. Your review hits the nail right on the head. 'everything is more than i expected'... that's exactly it!